This is a guest post by Alyssa Furnell Content Writer/Proof Reader at Authority Specialists. Authority Specialists provides top-quality, value-filled content with the goal of building the authority of your website. For busy individuals wanting to have their skin pampered, going for an intensive skin care is not easy. 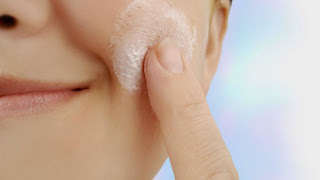 If you have a healthy lifestyle and practice good hygiene – especially in caring for your skin, then there is no need to go to a dermatology clinic. Unless of course your problem is getting rid of those hideous scars, then you really need the help of a professional, where they have a laser clinic. aging process. The sun has UV radiation that is harmful to your skin and can cause skin cancer in the long run. Use sunscreen to protect your skin with an SPF of at least 15. If you are staying outdoors for longer periods of time, apply sunscreen every two hours. according to some researches, can make the skin look old, dry and promotes wrinkles. The reason being – it narrows the tiny blood vessels that is located in the outer layers of the skin and blood supplied there is limited. This will deplete the oxygen that is needed in the skin plus the nutrients it needs. Another effect that smoking contributes is damaging the elasticity of the skin. Limit the time you spend in your bath. Taking long showers or baths can remove the natural oil that your body produces, which actually helps your skin. Do not use strong soaps and especially not detergents because this will definitely take the natural oil that your body produces. along the direction that the hair grows. Do not rub the towel hard on your skin when you are finished with your shower or bath. Pat to dry to keep some of the moisture on your skin – hydrate your skin. Once you are done with taking a shower or bath, apply a moisturizing lotion especially for dry skin. encourage a younger and healthy-looking skin. Being under stress can cause several skin reactions such as acne breakouts or rashes. If you are under stress, take some steps to manage them. Better yet, ask some professional help. There are different levels of managing stress in every individual. Take time to understand and resolve the things that cause you stress. Great tips. We think that make up is best solution for beautiful look. It’s true that make up make look us beautiful but also keep in mind that it harms your skin with prolonged usage. However, make up is no comparison for natural beauty.